We also invite you to join us here on the web to blog your reflections, as well. Rowan Williams is acknowledged internationally as an outstanding theological writer and teacher as well as an accomplished poet and translator. As Archbishop of the Anglican Communion leading his own diocese of Canterbury and the church of England for ten years, he moved to a new role in 2012 as Master of Magdalene College Cambridge. You may purchase Williams’ book at the Cathedral office for $13, or order your own copy at https://smile.amazon.com. Following are some discussion questions to ponder. Share your thoughts, if you wish, in the space provided at the bottom of this page! a. Try to imagine yourself as an early Christian believer. What might come into your mind when you think of the cross? b. 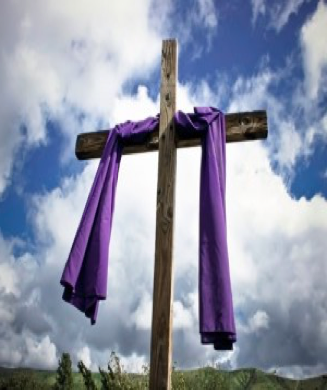 Do you find the idea that the cross is a sign of God’s freedom helpful for your own life? c. Have there been moments in your life when the cross has broken down your defenses? a. In what way do the images or passages on sacrifice, either from the Old Testament of the New Testament, inspire you? b. How does Jesus’ giving his heart to God as a sacrifice of obedience speak to you? 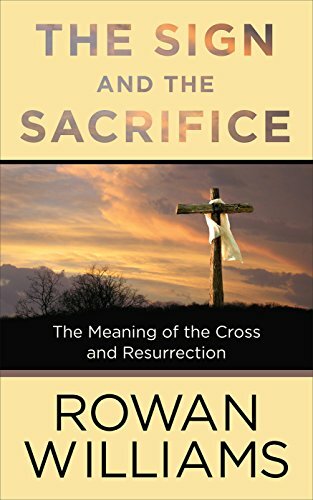 c. How does the doctrine of the cross as a gift renew you in your Christian life? a. How does it help you to know that the victory is already there in Jesus’ life and in the cross? b. Which of the early Christian or medieval images of the cross as victory speaks most to you and why? c. Pick one of the hymns quoted in this chapter and say why it appeals to you. Does it help you to understand the cross? a. How does believing you are living the last phase of human history help your understanding of Jesus and his risen life? b. Have you ever tended to view the church as no more than the Jesus of Nazareth Society? How does the idea of Jesus as “God with us” help dispel this view? c. What is claimed about the historical basis of the resurrection stories and why? Do you subscribe to it? Why or why not? a. How do you feel about the idea that the Bible illuminates the humanity of people from very diverse backgrounds? b. How does belief in the resurrection show you that humanity can change? How does it help you to overcome your deepest fears? Ch. 1 – “The Sign” -I think of my immigrant grandmother’s gold cross with 3 small diamonds: I remember my mother wearing it; then I wore it. Then it was stolen along with other jewelry in a home robbery ..the cross has been that burden we 3 generations of women bore in each our different experiences, but the yoke was light because we believed. It freed us from self pity, negativity, cynicism; it gave us hope, love and being beloved, and everlasting faith. Ch 2 – “The Sacrifice” – Old Testament sacrifices were brutal–Abraham’s son? Jacob’s all nighter and it’s not lifelong hip arthritis; undereducated fishermen smitten by something they could neither comprehend nor predict with any certainty except that there was no turning back. Ironically this obedience is grounded in love, not fear…to see ourselves in a mirror darkly but finally, face to face. from the cross’ wooden splinter planted by Joseph of Arimethea. Really? But we critters need to believe; to hold concrete rosary beads or a palm cross or witness lives well lived by those passing on to God’s heaven before we get there. That for 2000 years we can sing “Lift Hight the Cross,” and “When I Survey the Wondrous Cross,” and be in solidarity with Joseph’s mythical tree and beloved family and friends gone to glory. We are living in the last phase of human history because since the resurrection, all is spirit-driven from a new life in God’s presence, not human-driven in a human framework. The historical basis of the resurrection and Jesus as some great dead genius limit our understanding of “eternal life”—that a life of actions and beliefs in God’s eternal love and Jesus’ pricey death paid for the forgiveness of our sins, can and does live on forever. How could the Gospel writers speak adequately on something for which there was no precedent, struggling to make it real for the reader and the hearer…too blatant and clear on what is good, noble, loving, kind; but still a mystery too big to be contained. We are very much the ant crawling around the foot of the elephant trying to work out what exactly is going on in this enormous reality up above. The Bible is about stories of ordinary humans who could rise to greatness in wisdom and wealth or desperately scramble beneath tables for crumbs; who could show compassion for the injured stranger or ignore the vilified “other” with rigid entitled exclusiveness.. But the centuries have proven that humanity all share common values of family and relationships of love that intersect across differing tribes, language, food, occupations, and includes the care of environment.. a common world view that life and all there is materially, is God given and will fade away like grasses.. But living daily life as a humble grateful human being, as a God-given being, as one whose God is always present, refocuses attitude and actions to higher purpose. Prayer cultivates a habit of being in God’s space. Be still and just receive the silence of grace.